I really liked this collection of poetry. It contains some very famous poems by some very well known authors including Shakespeare, Byron, Bronte, Yeats, Keats, Elliot, and more. If you find it you should grab it up. I must confess that I actually took the time to read through this twice. I had to, the poems all had a beauty about them that I wanted to soak them in as much as possible before reading something else. Some of my favorites were "The Road Not Taken", "Because I Could Not Stop for Death", and "O Captain, My Captain!" To me, this was an inspiring read. Reading some of the great poets inspired me to try my hand at poetry again. 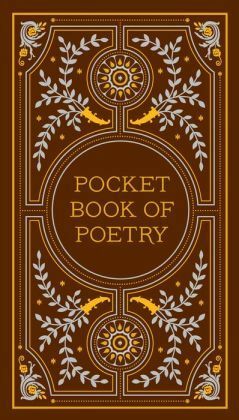 Sign into Goodreads to see if any of your friends have read Pocket Book of Poetry.